"SOS! Where are my favorite earrings?" Cabinet + Mirror. You are not only owning a jewelry organizer. 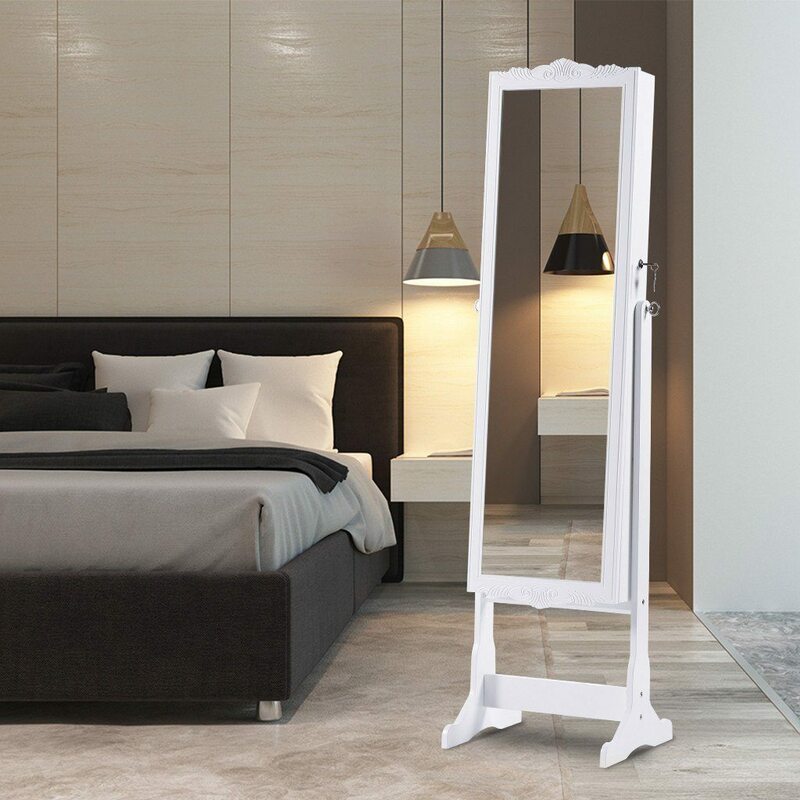 All LANGRIA jewelry cabinets are made of sturdy MDF wood board, and they come with a frontal full-length mirror. Perfect 2-in-1 product to die for! No more tangled necklaces. If not finding your fav accessory is already bad enough, picture yourself untangling your necklace from other necklaces. Complete C-h-a-o-s! Thank God this will never happen again with the jewelry armoire! Space saver. If you are like me, you must have tons of boxes in different sizes and colors, full of earrings, necklaces, rings, brooches... and a zillion accessories that you forgot you had. Keep them all in the same place thanks to the jewelry armoire, and get rid off all those boxes that are occupying space on bathroom shelves, your desk, bed table and so on.